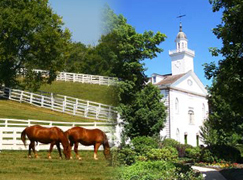 Those who are looking for a lovely place to live can take a look at Kirtland, OH. It has a small population of less than seven thousand people, so those who are looking for a quiet and peaceful place to live can find serenity here. It has a long and rich history that those living here can explore. It contains Mormon structures which have been popular with tourists, and those who want to take a look at it can learn a lot. There is something to do for everybody in the family in this city.